Vilnius, Lithuania, Sep 24, 2018 / 10:40 am (CNA).- When Pope Francis visited a former KGB building in Vilnius, Lithuania Sept. 23, Archbishop Sigitas Tamkevicius was the only bishop to accompany him there. Now housing the Museum of the Occupation and Freedom Fighters, the site was once used for the detention and execution of thousands of Lithuanians. Tamkevicius had personal experience as a prisoner there. The building, a former gymnasium, served as a headquarters for the Gestapo during World War II. 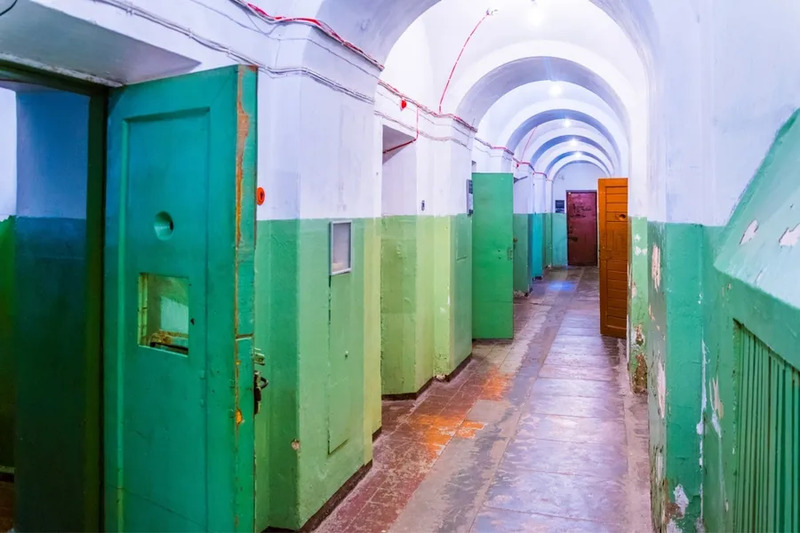 Following the Nazi retreat in 1944, the KGB moved in. More than 2,000 people were executed there, and 300 hundred priests were held prisoner – including Tamkevicius. “In 8 months I was interrogated 60 times – every other day,” he said. “The pope wanted to come and visit the roots of our pain,” the archbishop told CNA following the visit. Born in 1938, Tamkevicius vividly remembers the Soviet occupation, and he told CNA about the campaign of religious repression Lithuanians faced under the communist regime. Tamkevicius played an active part in resisting communist persecution of the Church in Lithuania. 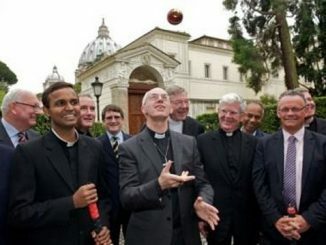 With four other priests, he founded in 1978 the Catholic Committee for the Defense of Believers’ Rights. He also set up the Chronicle of the Catholic Church of Lithuania, a small magazine – produced on a typewriter – that reported on the situation of the Church and of Catholics in the Baltic state. Tamkevicius edited the Chronicle for 11 years. As a Jesuit priest, Tamkevicius began his work of resistance by writing a news bulletin to inform the world about the persecution faced by the Church in Lithuania. As one of the younger members of the order, he felt called to take on an active role. “I was one of the youngest,” he said, “so I made the decision that I could risk something for the Church.” Tamkevicius founded the Chronicle in 1972. “In that place Pope Francis visited,” he said, “thousands have been killed, while thousands more were sent to into exile in the Soviet Union.” The archbishop was among them. In 1983, Tamkevicius was arrested and held by the KGB. He was sentenced to 10 years of forced labor and exile. He served some of his sentence in Siberia. Tamkevicius told CNA that Francis’ visit was an emotional moment for him. Among the good things, he said, was his recollection of “the prayers, never more intense – the Rosary, the reading of the Bible.” These devotions sustained him during a period in which he was held and questioned by the Soviets. Tamkevicius was eventually released as part of Mikhail Gorbachev’s perestrojka program. He returned home and was appointed spiritual director of the seminary in Kaunas, Lithuania’s second largest city, in 1989, becoming the rector of the seminary the following year. In 1991, he was consecrated an auxiliary bishop of the Archdiocese of Kaunas, becoming the city’s archbishop in 1996. 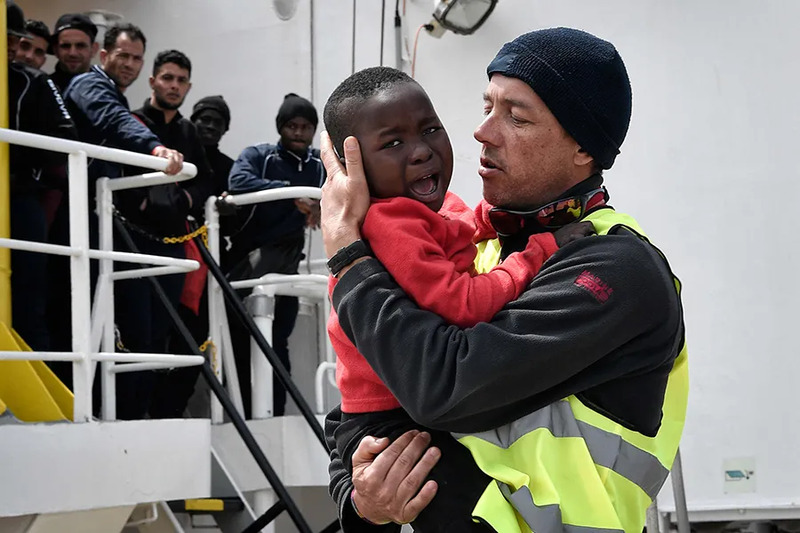 Valencia, Spain, Jun 13, 2018 / 04:44 pm (CNA/EWTN News).- The Archdiocese of Valencia, Spain is preparing resources for more than 600 immigrants on board a rescue boat that was denied entry into Italy this week. According to Cardinal Cañizares, the Red Cross will be in charge of the first phase of care, then after that the UNHCR (United Nations High Commissioner for Refugees) and the diocese’s Caritas and immigration services will take over. 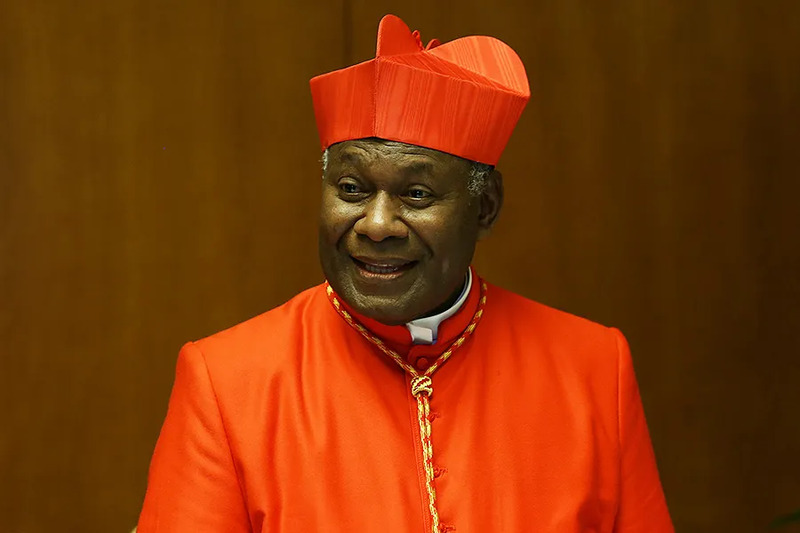 Rome, Italy, Feb 17, 2017 / 02:50 am (CNA/EWTN News).- While many in different sectors of the Church are pulling out their hair trying to resolve the Amoris Laetitia communion debate, Papua New Guinea’s new cardinal said his country has a much more immediate problem. “For us, Amoris Laetitia will always be there,” Cardinal John Ribat told CNA Feb. 11. “You can have time to talk about this,” he said, but stressed his country is facing one major problem that can’t wait for a solution: climate change. “It is really the biggest issue for us. We cannot keep quiet about it. We have to come out with it,” he said, noting that the “king tides, king waves” and rough winds “belting” the island nation are already forcing many people from their homes. Cardinal Ribat, a member of the Missionaries of the Sacred Heart of Jesus, was one of the 19 prelates that got a red hat from Pope Francis in November’s consistory, and is a prime example of the Pope’s affinity toward the global peripheries. Not only does Ribat come from a small island nation with an equally small Catholic population, he is the first prelate from the country to ever be named cardinal, giving voice to a sector of the Church whose concerns might otherwise go unheard. The cardinal said he didn’t know that he had been named a cardinal until the country’s nuncio came and told him. “For me it was absolutely unexpected. I never dreamt about it, never, I never wrote for this. It just came. So it was really a shocking news for us,” he said, explaining that the appointment sent “a great message” to Papua New Guinea. Not only did he get congratulations from the country’s Catholics, but he also received celebratory calls and messages from other Christian denominations as well as the nation’s small Muslim minority. Prime Minister Peter O’Neill also offered his congratulations in local papers and on TV. Ribat said his red hat was timely above all because it allows him to have more heft when voicing the country’s concerns, particularly on the issue of climate change. “It’s happening at this time and we don’t know where it is coming from and why it is happening…we have islands disappearing, being washed because of the high-rise sea level and people there, they have to move,” he said, noting that many of the smaller islands “are not able to sustain themselves” for much longer. Papua New Guinea is among the nations considered most at risk for the effects of climate change. For several years the country has been affected by rising sea levels and changes in temperature, rainfall patters and the frequency of tropical storms. According to the Australian Government’s 2011 Pacific Climate Change Science Program report, temperatures in the capital city of Port Moresby have increased since at a rate of 0.11 degrees Celsius per decade since 1950, causing sea levels to rise at a rate of 7mm per year since 1993, since water expands as it gets warmer. Predictions for the future look grim, anticipating that the trends will carry forward as temperatures continue to increase, leading to hotter days and more volatile rainy days, with sea levels continuing to rise. Islands such as Carteret and Tuvalu have reportedly already begun to feel the sting, with rising sea levels leaving food gardens flooded while homeowners seek to transfer to higher ground. Coconut farms – the country’s primary agricultural product – have so far been most heavily affected. 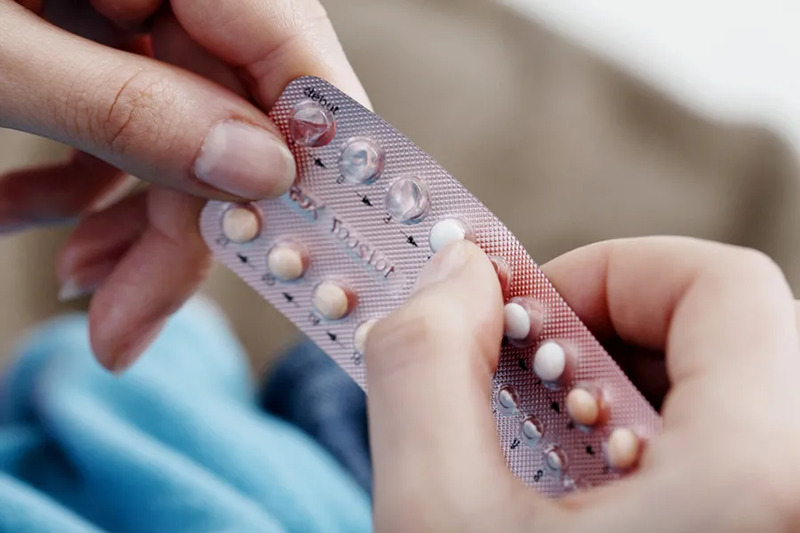 The report also states that inconsistent weather and rain patterns have already led to more frequent onsets of malaria and the common flu, and will soon start to have an impact on the economy, since the country’s agricultural production is being affected. In his comments to CNA, Cardinal Ribat, who met with Pope Francis right before coming to the interview, said he brought the issue up with the Pope during their meeting, and that Francis was sympathetic to their plight. “His response was that the nations are not listening, that’s what he said,” Ribat explained, recalling how the Pope told him that while “we do our best, we try to voice our concerns,” the answer ultimately depends on other nations. Pope Francis has often spoken out about the need to make more firm commitments in trying to find solutions to climate change, focusing on the issue at length in his 2015 environmental encyclical Laudato Si. He also issued several strong statements on the issue ahead of the 2015 COP21 climate summit in Paris, which was attended by Vatican Secretary of State Cardinal Pietro Parolin.